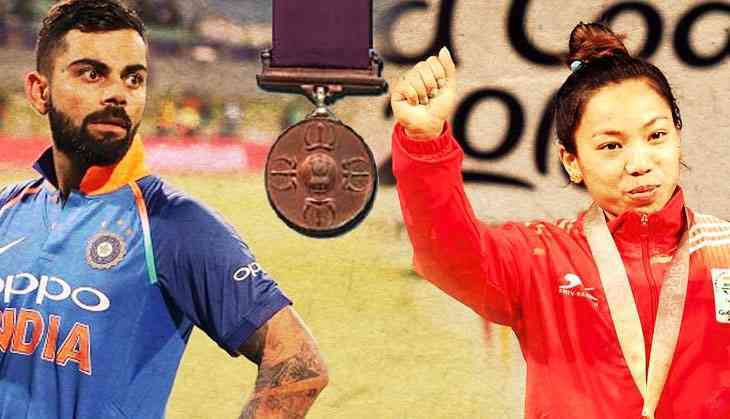 Indian cricket team captain Virat Kohli and weightlifter Mirabai Chanu recommended for Rajiv Gandhi Khel Ratna awards, reports news agency PTI. Shuttler Kidambi Srikanth has also been recommended for the Rajiv Gandhi Khel Ratna awards. However, Srikanth recommendation is reportedly subject to the Sports Ministry’s approval, reported Indian Express. Earlier, it was reported, Mirabai Chanu's coach, Vijay Sharma has also been recommended for Dronacharya Award. If Sports Minister Rajyavardhan Singh Rathore approves the recommendation, Kohli will become the third cricketer to get the award. Earlier, Sachin Tendulkar (1997) and former captain cool MS Dhoni (2007) won the award. Saikhom Mirabai Chanu has won the World Championships and multiple medals at the Commonwealth Games. Chanu didn’t compete at the Asian Games due to injury.